A soft soothing antiseptic cream for use on cuts, abrasions, and skin conditions including insect bites, stings, fungal infections, septic sores, and wounds in dogs, cats and horses. How do I apply Vetex Antiseptic Cream? 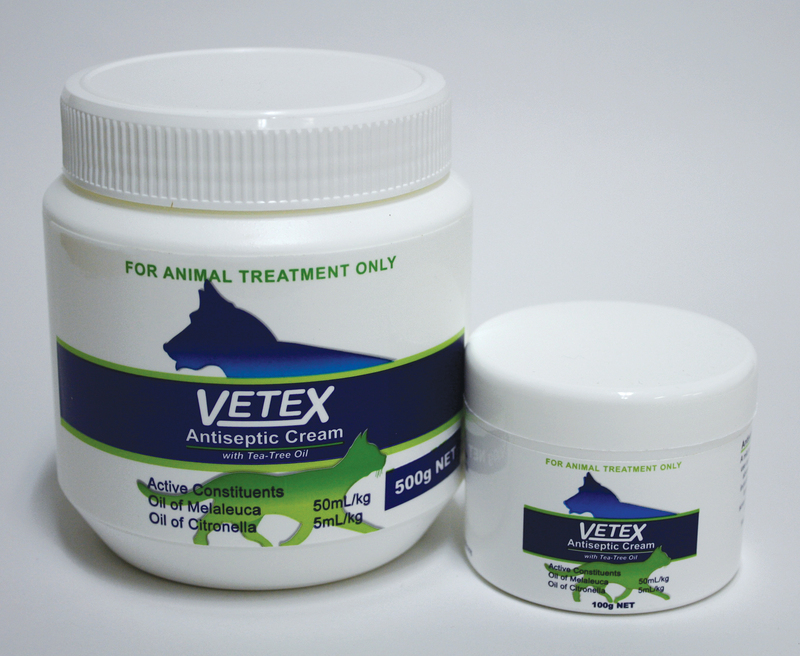 Vetex antiseptic cream should be applied to the affected area twice daily until the condition is healed. If there is no improvement, consult your Veterinarian.